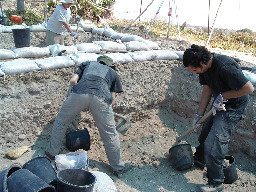 The advancement and further development of the field of Archaeology in the land of Israel. The foundation was founded as a non-profit organization aiming to advance and further develop the field of archaeology in the land of Israel. Our goals include the development of contract archaeology in Israel, funding and conducting archaeological excavations and surveys, assistance in the preservation and development of archaeological cultural sites, international cooperation with the scientific community, granting scholarship and research grants to advance student who's field of research involves the archaeology of the southern Levant. The foundation was founded on November 10th, 2009.